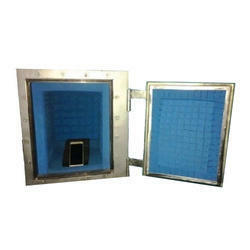 As per the needs and requirements of our clients, we are involved in providing RF Shielded Enclosure. Our clients can avail from us, which is developed in compliance with the latest technological advancements in the market. 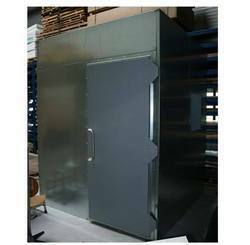 Our range is available in different sizes as per the clients’ specific needs. Elastomer core and braided with Gold plated wires, available in 2 mm to 8 mm size. Fold Over finger types, gold plated of various sizes. Very useful for making the racks RF proof. These are developed by have been very successfully used in the Ruggedised Racks. With the assistance of our diligent team of professionals, we are offering R F shield rooms for all types of mri machines. - RF Shield cabinet’s attenuate external electromagnetic waves for testing devices such as RFID, Bluetooth, Zigbee or similar wireless devices. - Cabinet provides reliable signal connections necessary for testing certain devices in a test system.